When we think about our windows, we probably think about all of the beautiful natural light that pours into our home. We dream of afternoons perched on the sill, reading a book, or peering through the window into the yard. Yes, we all love the aesthetic qualities of the windows in our home but we’re less than thrilled with the security risk that they can pose. 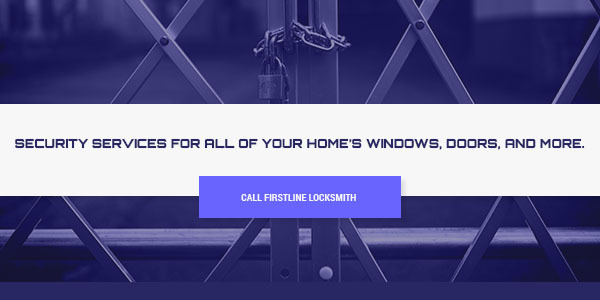 As New Jersey’s trusted locksmiths for more than 25 years, Firstline Locksmith has worked with countless homes in installing new windows and window locks. In that time, we’ve learned a lot about how to keep your home secure and how your windows fit in your security strategy. 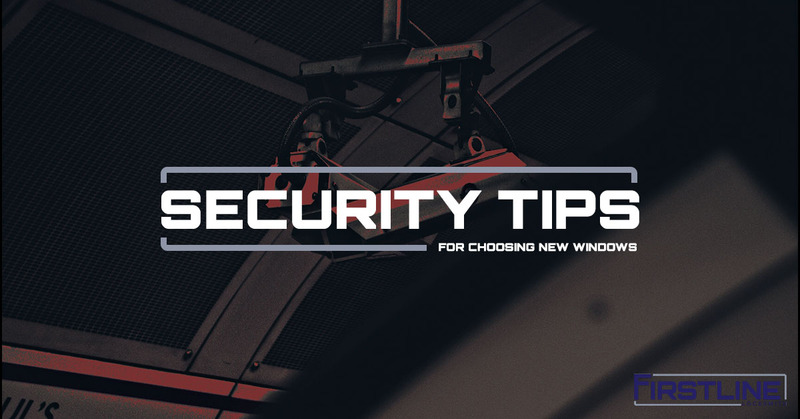 Read our helpful tips to see how you can better secure the windows in your home. While old windows have a certain charm and appeal to them, they aren’t ideal from a security standpoint. Older windows often do not function properly or may lack locks or other security features, which makes them an easily accessible point for someone to break into your home. Additionally, if the window does not raise or lower effectively, this can prove to be a safety risk for the occupants who may need to flee the home through the windows in case of an emergency. If your windows fail to open and close properly, have a broken or damaged frame, have thin glass, or have subpar locks, or no locks at all, it is time to replace your windows. We casually use the phrase “window shopping” when describing a harmless afternoon outing to the mall, but it takes on a much more sinister meaning when criminals view the contents of your home through your windows. By looking through your window, a thief can readily see what valuable goods are in your home and the layout of your interior. A criminal might spy your new TV, expensive sound system, or even family heirlooms through an uncovered window and make them a target for their break-in. To deter thieves from window shopping at your home, consider installing drapes or blinds to create a sense of privacy in your home. You can install shutters for extra protection, and of course, it’s never a bad idea to install a lock on those shutters for added security. As professional locksmiths, we’re always shocked by the number of homeowners who fail to use, or even have locks on their windows. If you do have locks on the windows in your homes, we suggest always keeping them closed and locked when not in use. For additional security, you might consider upgrading your existing locks with new locking systems. Today, there are sensor locks and electronic locks that can detect when someone is trying to force the window open. If you choose not to upgrade your locks, you can add extra security measures by placing fitted pieces of wood or pipe in the track of your casement windows to keep them closed if anyone tries to open the window from the outside. Additionally, you can drive a machine screw through the top of the window’s frame to keep thieves from lifting the window out of its track. Double-hung windows can benefit from a pin lock that keeps both sashes secure and in place when not in use. It’s tempting to think that only the windows on the ground floor of your home are vulnerable to break-ins. Ambitious criminals and thieves generally are not deterred by the idea of scrambling up to your second- or even third-floor windows to gain access to your home. They may even make use of the items in your yard, like ladders, stools, or trees to get into your home. This means that every window in your home needs to be secured. While it’s easy to think only of the windows on the face of your home, it’s important to think about the windows into your basement as well. If your New Jersey home is in need of new window locks or even a home security survey, contact the experts at Firstline Locksmith. We’ll happily install new locks on the windows in your home and offer you security tips and strategies that can keep your home safe. Call today to schedule your locksmith services.